CARE Dallas awarded five $1,000 college scholarships to Dallas area high school seniors. 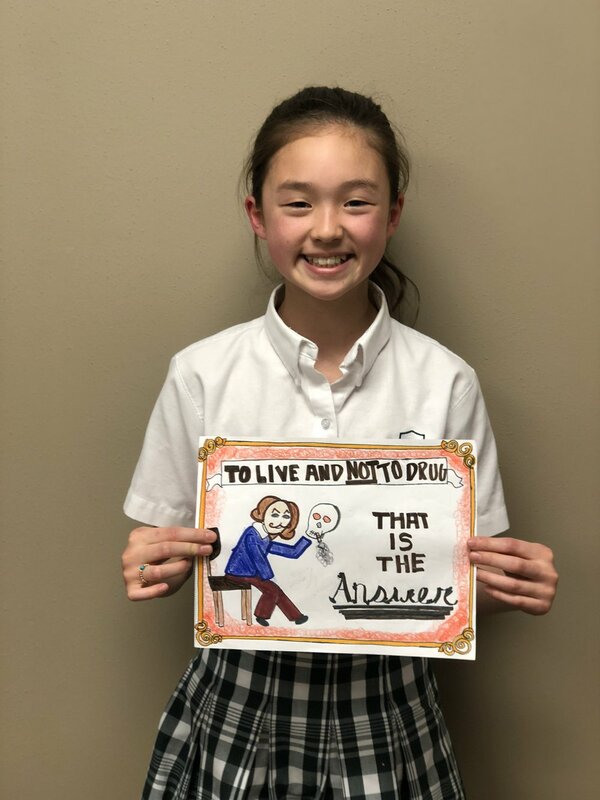 These students submitted short essays sharing their commitment to positive life choices regarding the use of alcohol and other drugs. Some winners also served as leaders and role models to their peers and younger students, reflecting the mission of CARE. Thank you to all of our applicants, and everyone who supported this scholarship through the CARE Scholarship Raffle! 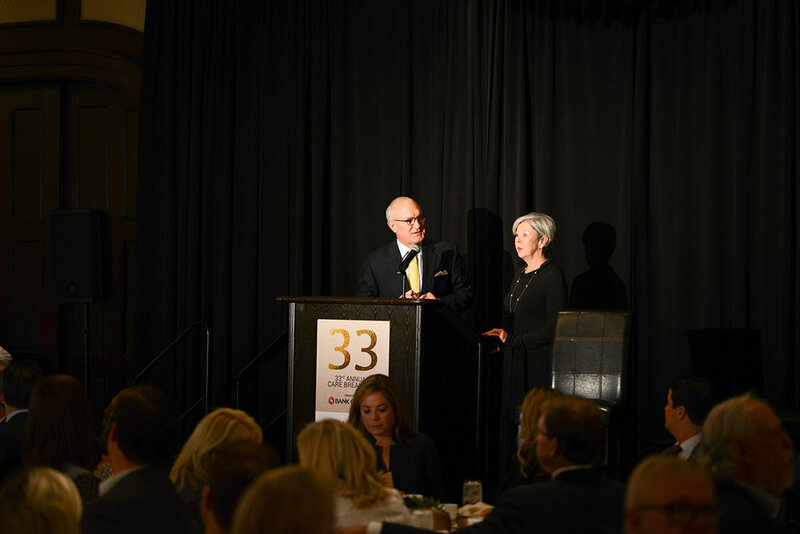 On Wednesday, November 15, 2017, CARE Dallas hosted their 33rd Annual CARE Breakfast at the Dallas Country Club. 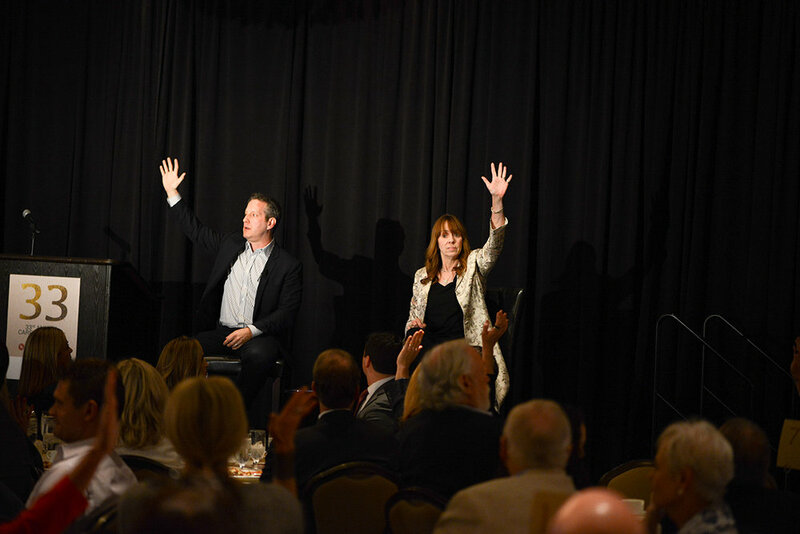 Featured guests Mackenzie Phillips and Brad Lamm spoke to the 380 guests about their personal stories of addiction and recovery, and how they view the intervention process. Brad Lamm is the founder of Breathe Life Healing Center in California and is a well known speaker and author who has produced programs on addiction for Oprah and Dr. Oz. Mackenzie Phillps, while best known as an actress with roles in American Graffiti and One Day at a Time, is currently an addiction counselor at Breath Life. During the CARE Breakfast Brad interviewed Mackenzie, asking her questions about her own struggles with addiction and how she has lived in recovery. Emphasizing the need for community involvement during any recovery process, Brad encouraged attendees to always “look for the yes” - a yes that will be the first step in the treatment of addiction and substance use disorders. The 2017 Margaret Sharpe Award Honoree was Charles Carneal, a long-time CARE volunteer who has spent many hours leading educational classes for teenagers and helping the CARE staff in any way that is needed. The 2017 Community Partner Honoree was JD’s Chippery, a Dallas bakery who has supported CARE with a loose change jar for more than a decade. 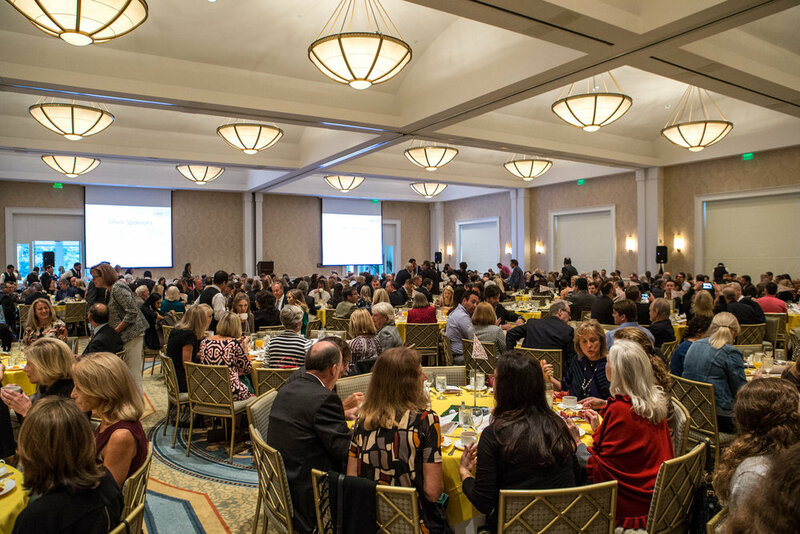 This year’s CARE Breakfast was presented by Bank of Texas and the event was opened by Robert White, Executive Vice President for Bank of Texas. Altogether, the event raised over $170,000 for CARE programming and services. The Annual CARE Breakfast supports CARE’s mission to respond to the increasing concerns and challenges associated with alcohol and drug abuse in our community. Thanks to our generous sponsors, we can provide the resources the Dallas community needs to face addiction and navigate the process of recovery. CARE is a valuable community organization that provides education classes for families struggling with substance use disorders; provides speakers for students, parents and educators in Dallas; and serves as a no cost, confidential referral resource for anyone who needs help with alcohol or drug addiction. CARE serves more than 20,000 families each year through its programs and services. At the 33rd Annual CARE Breakfast, Charles (Charlie) Carneal will be honored with the Margaret Sharpe Award for his years of service to CARE and the Dallas community. Charlie is currently on the CARE Dallas Volunteer Council and served as Chairman of the Board in 2007. For many years Charlie has served as a leader in CARE's New Directions classes, as well as volunteering for community events. "Charlie has been an outstanding CARE board member for years. We can always count on Charlie to be the first to sign up to help and attend events," said Jan Osborn, 2016 Margaret Sharpe Award Honoree. "He has dedicated himself to local high school students who attend New Directions classes and has been an inspiration to everyone who has gone through the CARE programs." Charlie Carneal is a proud fifth-generation Texan, fourth-generation Dallasite, and second-generation SMU alumnus. Charlie attended SMU on academic and athletic scholarships, graduating with a B.B.A. (Real Estate) degree in 1973. Professionally, Charlie was Top Producer for Dave Perry-Miller & Associates for 2005 and is a consistent producer. He has been named one of the “Best Real Estate Agents in Dallas” by D Magazine multiple times, and has been profiled in Park Cities People. He was one of two elected representatives of the Park Cities/North Dallas MLS for 2007 and 2008 and is a member of two networking groups for Realtors. Seats are still available for the CARE Breakfast on November 15th. Purchase your ticket or sponsor a table today! Maybe your back to school list includes new clothes, notebooks, lunch box, and a quick trip to the dentist. But let's add one more thing - a real conversation with your kids about drugs. Children today are exposed to tobacco, alcohol, and other drugs at increasingly younger ages. Modern media is full of images that promote smoking and drinking as a cool, fun, and natural part of life. That's why, more than ever, parents need to talk to their kids about the hazards of drugs and help them separate fact from fiction. But how do you get started? According to experts, it's best to develop an ongoing dialogue with your child -- starting in the preschool years if possible -- and to look for spontaneous, everyday situations, or "teachable moments," in which to lay the groundwork for open, honest communication. The best news? Research shows that children who hear the facts about drugs and alcohol from their parents are significantly less likely to use them. Here's how to begin. During the preschool years, children have strong ties to their family and seek their parents' approval. This is a great time to teach kids about good nutrition, proper hygiene, and developing a healthy lifestyle. It's also a good time to help children develop the decision-making and problem-solving skills they'll need later in life. Talk to your child about the joys of healthy living. Discuss how good she feels when she's eaten a nutritious meal, gotten enough rest, and taken care of her body. Talk about how a healthy child can run, jump, and play for hours on end. Allow your child to make some decisions. Whenever possible, let your child make simple choices, such as what to wear or what to have for lunch. Even if his clothes are slightly mismatched, or he asks for peanut butter and jelly yet again, it's important now to reinforce his ability to make decisions. Encourage your child to be responsible for her health and well-being. Turn chores such as brushing teeth, putting away toys, wiping up spills, and caring for pets into fun experiences your child will enjoy. Break down the activities into manageable steps so that she learns to develop plans and solve problems. Teach your child about dangerous substances in his environment. Point out poisonous substances in your home, such as bleach or kitchen cleansers, and read the product warning labels out loud to your child. Explain that harmful substances don't always come with such "warnings," and that your child should only ingest a food or prescribed medication that either you, a relative, or other known caregiver has given him. As children enter school and spend more time around their peers, they become more influenced by the media and world around them. They're open now to new ideas and messages but definitely need your help to make sense of all this information. Let your child know how you feel about tobacco, alcohol, and other drugs. Keep your discussions factual and focused on the present. (Future consequences are too distant to have any meaning.) Let them know, for instance, that being high on alcohol or drugs makes it harder to play ball, finish a puzzle, or do other things they enjoy, and that smoking causes bad breath. Talk to your child about drug-related messages in the media. Some TV shows, movies, music videos, and ads glamorize the use of tobacco, alcohol, or drugs. Ask your child whether these vehicles make drugs seem cool and acceptable, or whether they also show their downside. Encourage your child to ask questions or share concerns about the things he's seeing and hearing. Set clear family rules about drug use, and examine your own actions. Tell children why you don't want them to take drugs, smoke, or drink. And always try to be a good role model. Your actions speak louder than words. Help kids build problem-solving skills. If your child is having trouble with homework, a friendship, or a bully at school, help her pinpoint the problem and find long-term solutions. Point out that "quick fixes" don't work. If it's hard for your child to have a one-on-one conversation with you, have her paint or draw a picture, write a story, or send an e-mail to a trusted friend or relative. During the tween and preteen years, children may begin to assert their independence and question your authority, but they need your input and advice more than ever. In fact, when it comes to the issue of drug use, this is one of the most important times in a child's life. Make sure your child knows your rules about drug use and the consequences if they're broken. Kids this age can understand the reason for rules and appreciate having limits in place (whether or not they'll admit it!). What's more, research shows that children are less likely to use tobacco, alcohol, and other drugs if their parents have established a pattern of setting clear rules and consequences for breaking them. Teach your child how to say "no" to drugs. Kids who don't know how to respond when offered alcohol, cigarettes, or drugs, or who don't know how to get out of sticky situations, are more likely to give in to peer pressure. Act out some real-life situations with your child and brainstorm solutions for what she can say. For instance: "My mom (or dad) would kill me if I smoked a cigarette," or "No thanks. I don't do drugs." Also, be sure your child knows that she shouldn't continue friendships with kids who have offered her drugs. Help build your child's self-esteem. Puberty can erode your child's self-confidence and cause him at times to feel insecure, doubtful, and vulnerable to peer pressure. During these years, give your child lots of positive reinforcement and praise him for both his efforts and his successes. Give your child the power to make decisions that go against his peers. Encourage your child to pick out the sneakers that he likes, for example, rather than the pair that many of his friends have. Or urge your daughter to hang out with true friends rather than with kids in the cool crowd. Base drug- and alcohol-related messages on facts -- not fear. Kids this age love to learn facts (even strange ones) about all kinds of things. You can take advantage of their passion for learning to reinforce your message about drugs. Keep your conversations in "present tense." Tweens and preteens aren't concerned with future problems that might result from experimenting with tobacco, alcohol, or other drugs. On the other hand, they are concerned about their appearance, sometimes to the point of obsession. So if they believe that drug use will impair their looks or health, they might be likely to avoid these practices. You can also tell them that cigarettes can cause smelly hair and "ashtray breath" or that their performance in the school play or on the football team will suffer if they are high on marijuana. Help children separate reality from fantasy. Watch TV and movies with your kids, and ask lots of questions to reinforce the distinction between what is real and make-believe. Remember to talk about advertising, too, as those messages are especially powerful. Encourage healthy, creative activities. Look for ways to get your child involved in sports, hobbies, school clubs, and other activities that reduce boredom and excess free time. Encourage positive friendships and interests, and look for activities that you and your child can do together. We are overjoyed with the recently created partnership between Saint Michael and All Angels Episcopal Church and CARE Dallas. CARE has a long history of providing a safe and confidential place for anyone struggling with drug or alcohol misuse. Since the early 80’s, CARE has provided education programs in schools and community settings to both youth and adults. But mostly we are a place to start when a person decides to get help for a substance use disorder. Stained glass artwork from the Columbarium Doors at Saint Michaels and All Angels. The new CARE office is located in a building owned by Saint Michaels and All Angels (SMAA). The space was generously offered to our organization at no cost for three years. Partnering with SMAA broadens our audience and increases opportunities to serve our community. The CARE team will have the opportunity to provide drug and alcohol programming for multiple audiences within the congregation as well as access to meeting rooms for CARE-related meetings. SMAA is also providing exposure for CARE via their newsletter and online communities which will increase awareness of CARE's role in the community. And finally, CARE is able to host community-wide programs at the SMAA facility. Addiction affects all aspects of our community – teens, families, parents, schools, the workplace, and even the faith community; yet, because of the stigma associated with alcohol dependence, we are often hesitant to reach out for help. CARE is working hard to reduce the stigma associated with addiction so that individuals and families can get the help they need. CARE is now located at 8100 Lomo Alto in suite 219. Please feel free to drop by anytime to learn more about the mission of CARE. Or you can call us at 214.526.8986 or follow us on Facebook. We are here to help. We are here to serve. We CARE. CARE Dallas is pleased to announce the winners of its 2017 Scholarship Essay Contest! 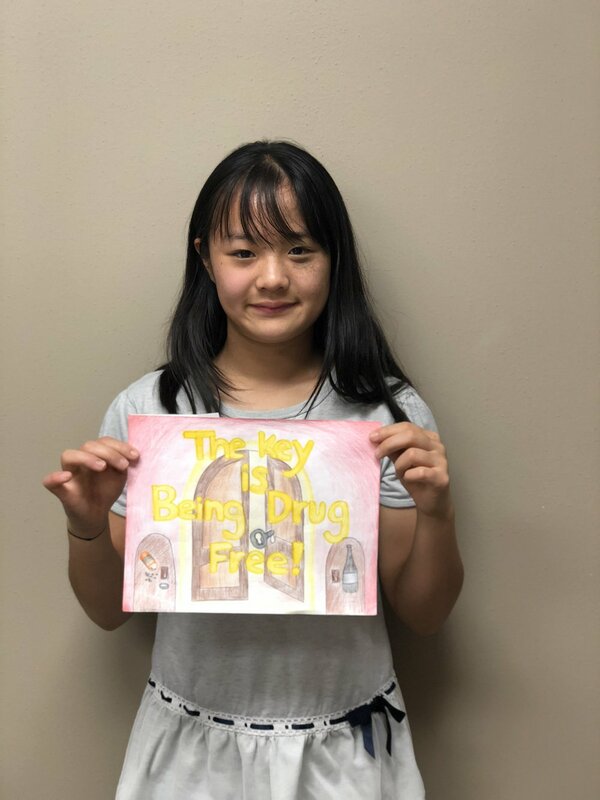 The winners were chosen based on their commitment to making healthy choices regarding the use of alcohol and other drugs as demonstrated in a personal essay. Each winner is the recipient of a $1000 scholarship. Funds to support the scholarship were raised during the CARE Scholarship Raffle which was organized by CARE volunteers and spearheaded by board member, Robin Bagwell. Lily Finkle, Bishop Lynch High School. Lily will be attending Texas Tech University. Ali Garrett, Highland Park High School. Ali will attend SMU in the fall. Rene Reeder, Saint Mark’s School of Texas. Rene will be attending Rice University. Sara Rodriquez, Bishop Dunne Catholic School. Sara will be in Austin attending the University of Texas. The CARE Board of Directors is pleased to announce the featured speakers for the 33rd Annual CARE Breakfast, Wednesday, November 15, 2017 at 8:00 a.m. at the Dallas Country Club. Mackenzie Phillips is best known as an actress with roles in American Graffiti and One Day At A Time. Her story, like addiction, isn’t pretty or scrubbed clean of the brokenness or the wreckage. Her powerful message contrasts the despair of addiction with the hope of recovery. Her current vocation as a substance abuse and addiction counselor with Breathe Life Healing Center in New York, as well as an author, is part of that message. Brad Lamm, founder of Breathe Life Healing Center, is a well-known speaker and author who has produced programs on addiction for Oprah and Dr. Oz. Tables are expected to sell quickly. Table sponsorships can be reserved by clicking the button below. For more information please contact the CARE office at 214-526-8986 or email at info@care-dallas.org. Wednesday, November 15, 2017 at 8:00 a.m. The Annual CARE Breakfast supports CARE’s mission to respond to the increasing concerns and challenges associated with alcohol and drug abuse in our community. With the help of generous sponsors we can provide the resources that the Dallas community needs to face and conquer addiction. 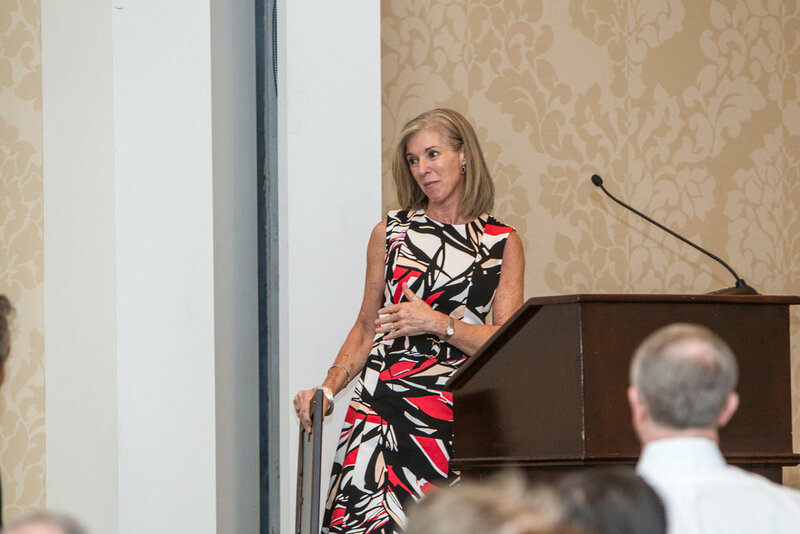 The 32nd Annual CARE Breakfast was a wonderful success, and we have you to thank. Your presence and support is proof that the Dallas community is committed to providing the resources so desperately needed for families affected by substance use disorders. And thanks to all of our sponsors and donors, we raised an incredible $220,000 to support current and future programs at CARE Dallas. As the year draws to a close, we encourage you to think of CARE when a friend or family member needs care for alcohol or drug-related situations. Our confidential services are available to the entire Dallas area and our staff is prepared to help. In honor of Red Ribbon Week, the CARE Dallas staff and volunteers are supporting 15 Dallas-area schools with educational programs. The theme of this year's campaign is "I Vote to Be Drug Free," and the information and interactive activities focus on making smart choices. CARE Dallas also provided 9,000 red ribbons and 6,000 red bracelets to students at participating schools. Thank you to our volunteers who helped to count and sort red ribbon supplies into bundles for each school. Everyone can participate in Red Ribbon Week by signing our Red Ribbon Pledge! Add your name, then share the pledge with other parents and guardians to be a part of creating a drug free America! David Feherty will be the featured speaker at the 2016 CARE Breakfast. 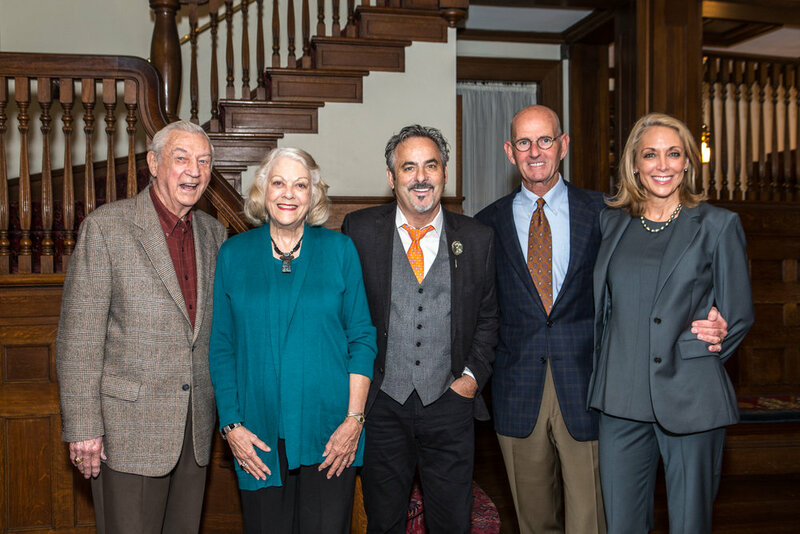 The CARE Dallas team is pleased to announce David Feherty as the featured speaker at our 32nd Annual CARE Breakfast on Wednesday, November 9, 2016 at 8:00 a.m. at the Belo Mansion in Dallas. David Feherty is a former professional golfer and NBC sportscaster. David spent many years battling depression and addiction. Now he uses his story to inspire others through humor and lessons from the green. 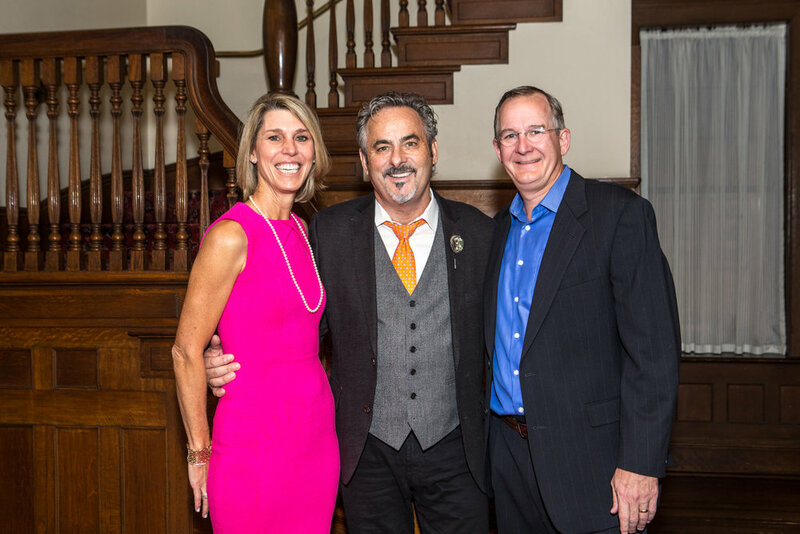 Feherty has authored six books and founded Feherty’s Troops First Foundation to assist wounded veterans as they return home. We sincerely desire that any person who is affected by mental illness seek the treatment they need. Susan Hawk, who was originally scheduled for the event, will no longer be speaking at this year’s CARE Breakfast as she continues her journey toward health and wellness. The CARE team wishes Susan and her family the very best as she faces a difficult circumstance. Due to David Feherty's popularity tables are expected to sell out quickly! Table sponsorships can be reserved at care-dallas.org. For more information please contact the CARE office at 214-526-8986 or email info@care-dallas.org. At the end of the 2015-2016 school year CARE awarded six $1,000 scholarships to selected high school seniors who demonstrated a personal commitment to making positive choices regarding the use of alcohol and other illegal drugs. The CARE team received 75 applications from 25 Dallas-area schools. Twelve finalists were chosen and then six winners were selected by the CARE Board of Directors and staff. These students have shown leadership and character, and have been a role model to others by standing firm against peer pressure. Each recipient has been shown to reflect the ideals and goals of CARE as we strive to provide chemical addiction awareness and educational resources to the Dallas community. We are incredibly grateful to the CARE Scholarship Committee who spent many hours reviewing applications and choosing our winners. Thank you to Andrea Bertrand (Committee Chair), Jennifer Miars, Cathy McDowell, Susan McCollum, and Martha Johnston. Each year the CARE team has the honor of choosing the winning artwork to be featured in our annual calendar. Hundreds of students from the Park Cities area of Dallas submitted their drawings for consideration. Each drawing came from a unique point of inspiration, but all followed a similar theme - staying far away from addictive substances and making healthy choices instead. Thank you to all of the schools and teachers who guided their students on this project and opened their classrooms for discussion on the important topic of drug and alcohol awareness. Sam C. - "Winter, Spring, Summer, Fall. Don't Do Drugs At All!" Alex S. - "Be Wise. Don't Smoke!" Ellie I. - "Give nice hugs to defeat drugs!" Aine N. - "Say no to drugs. Say yes to gym." Daniel M. - "Don't be a rotten egg!" 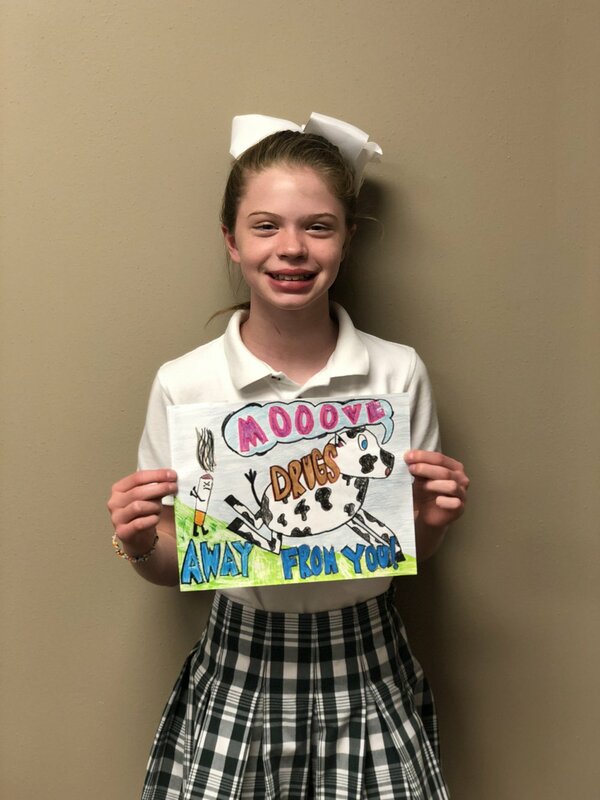 Grace T. - "Don't go with the flow...stay away from drugs!" Victoria C. - "I'd rather eat bugs than do drugs." Livia L. - "Drugs stop dreams." Kara C. - "Don't drown in drugs." Lauren R. - "It doesn't take a genius to know that drugs are dumb!" Caroline Z. - "Addiction will haunt you for the rest of your life." Joe C. - "This is your brain on drugs." Reese R. - "You will be on the naughty list if you take drugs!" 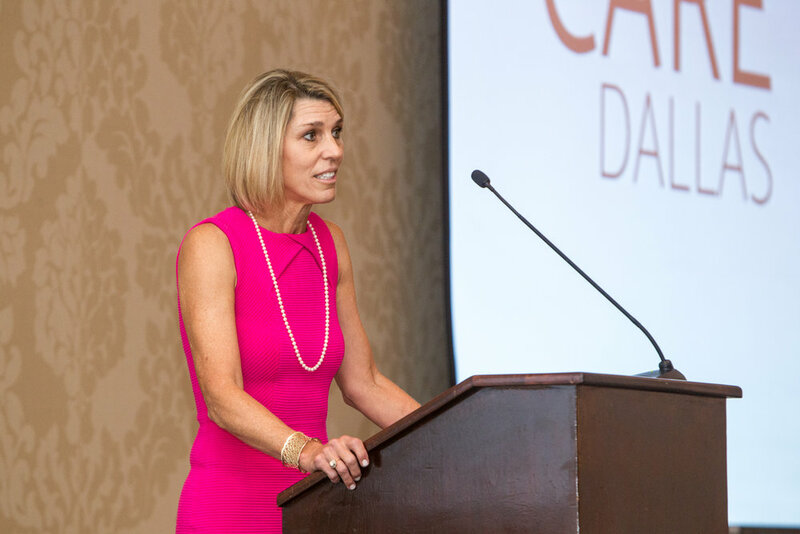 CARE (Chemical Awareness Resources & Education) is pleased to announce Susan Morgan has been named the Executive Director by the CARE Board of Directors. Susan Morgan graduated from Baylor University with a B.S in Education in 1977 and went on to earn her M.A. in Education from Sam Houston State University. 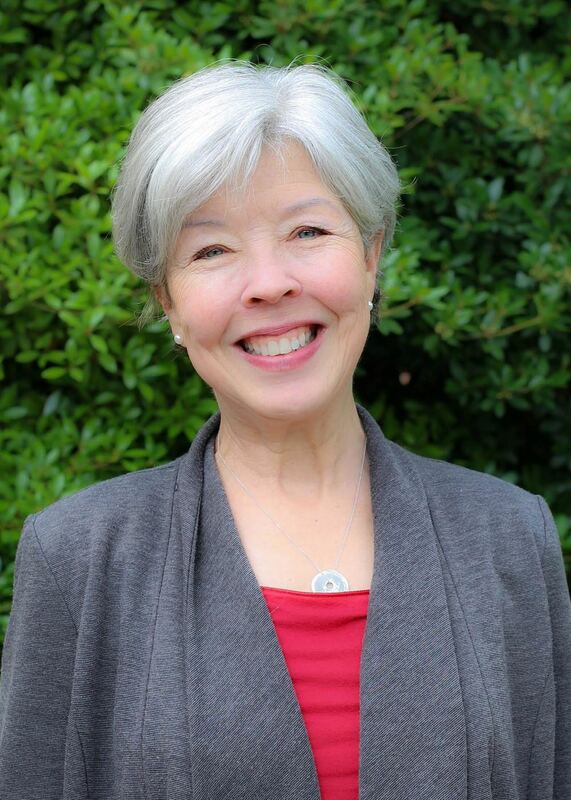 During her career Susan served as a Drug Prevention Education Specialist for the East Texas Council on Alcoholism and Drug Abuse, and later became Executive Director of that organization. Most recently she held the role of Managing Director of the Junior League of Dallas. In each role, Susan remained focused on the community she served, while increasing the efficiency of the staff and resources. Established in 1984, CARE is a valuable community organization that funds education classes for families struggling with substance abuse; provides speakers for students, parents and educators in Dallas County; and serves as a no cost, confidential referral resource for anyone who needs help with alcohol or drug addiction. CARE serves more than 20,000 families each year through its programs.